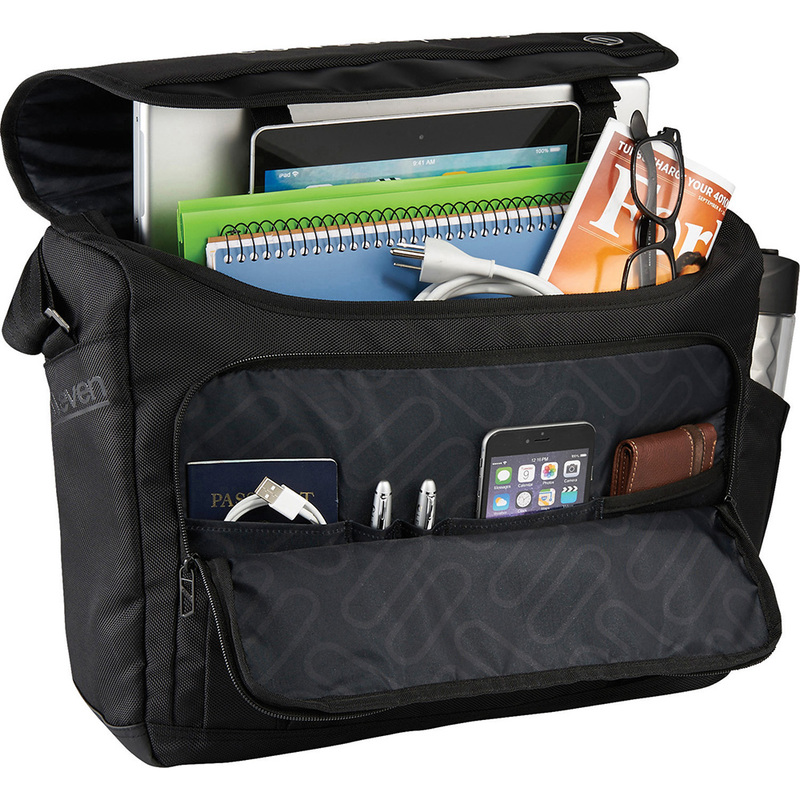 Large main compartment has space for your 15.6” laptop, a tablet or iPad®, and other accessories. Zippered front pocket organizer keeps your pens, business cards and other accessories where they should be. Adjustable shoulder strap. Rear zippered pocket for quick-access that also doubles as a trolley sleeve. Integrated pocket on the back for your airline ticket or passport. Signature elleven™ branded elements and hardware.